They talked about “Cenacolo” , “Gioconda” and “Vergine delle rocce” stored at National Gallery in London, even if Luca’s thesis was about “Vergine delle rocce” stored at Louvre, Paris. The first version is without a doubt the most important one. 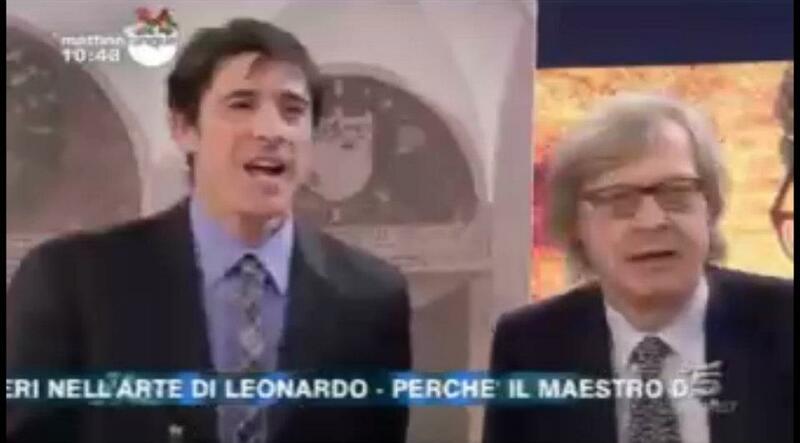 During the show hosts had some arguments, as usual when Vittorio Sgarbi is invited on a tv show. Perhaps because during the morning the authors of the show couldn’t send on air those suggestive pictures. The author told me that she didn’t want to show codificating images of ‘’vergine delle rocce’’, but accepted to show images of Cenacolo. Probably even these were regarded to be too strong for the direction. Sgarbi kept asking Luca Caricato to see those pictures but the authors didn’t show them. Then I answered him with a joke aimed to temper the situation. There could be children watching the tv at that hour that is the why I agreed not to send those pictures on air. I didn’t agree with Vittorio’s behavior for being so aggressive and inappropriate, but this is another story. 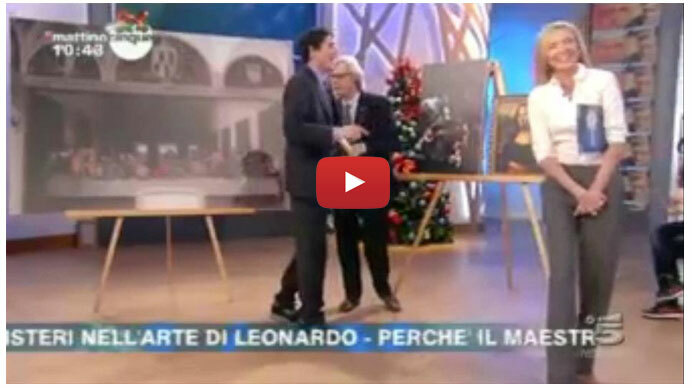 Argument between Sgarbi and art expert Luca Caricato at Mattino 5. You turn on the tv and find a familiar face: Luca Caricato. Explaining his theories about three Leonardo’s masterpieces: Il cenacolo, gioconda and vergine delle rocce. Among the guests there was also Vittorio Sgarbi who got angry when Caricato explained his point of view about Leonardo’s works. The same reaction he had when he heard about a probable “Lucanian Leonardo” :the painting stored in Acerenza. He probably doesn’t like a possible connection between Leonardo and Lucania. 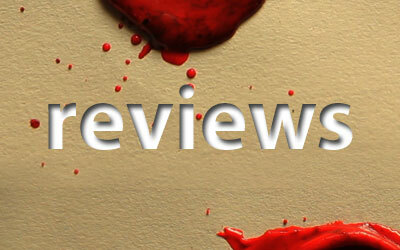 To learn more about It we interviewed Luca Caricato. "Virgin of the Rocks" by Leonardo da Vinci? "During the Erasmus program at the Sorbonne, Faculty of History and Art history, I spent a lot of time at the Louvre and almost casually one day I found myself in front of the Virgin, and there something was triggered in my mind. The more I looked at the painting the more its vision annoyed me. At the beginning I didn’t understand the why. As a painter, a communication expert, video and photography, then I came to understand that that picture was full of cleverly hidden mistake, do not arise in one eye not trained to draw and paint. There are errors of proportion, distance and perspective ... but Leonardo was a master in perspective! the errors are concentrated on the most important parts of the framework and have been put in place with more care than other parts. " 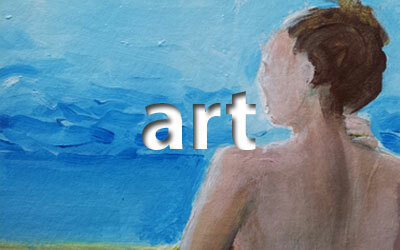 What message lurks in your opinion this painting? "The painting, behind the Catholic conventional message, hides a heresy for that period which could cost the life of Leonardo. The images that come out of my decoding clearly speak about an inner force of the nature that wins the waters. Heresy is also the victory of the lands on the water through earthquakes, visible movements, and invisible movements of the ground. Thus Leonardo has discovered the theory of stratification of groundwater which is a currently valid geological theory, which also justifies the presence of fossils in the mountains. " 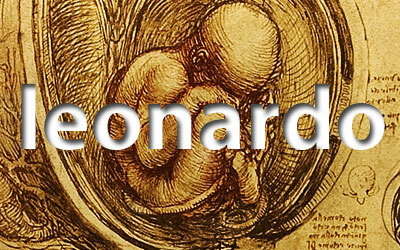 Why is your discovery important for the world of art and for the study of Leonardo? "First of all it is important for me, because that is opening me a very personal wonderful world, that I share only with some scholars who continue to call me, to discuss with me and give me new ideas. Then in the world every research is also important to be refuted or confirmed. I do not fear criticism nor the construction nor shouted or vulgar one. " "Some scholars of the University of Venice are very interested and would like to deepen my research. They call me from all over Italy: Rome, Bologna, Turin, Milan, Palermo ... and more and more from abroad. 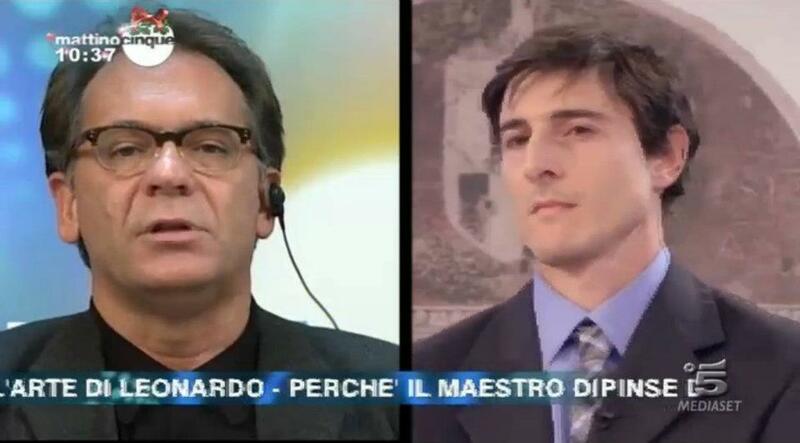 I was contacted, even by Richard Owen, coordinator for the London Times in Italy. " And here in the Basilicata? my research the most out of the province of Potenza. " "I do not know why. (Caricato jokingly continued, ndr.)" Nemo prophet in his homeland? A prophet is not despised save in his own country, of course I’m not a prophet!" How was your meeting at 5 AM with Vittorio Sgarbi? "Certainly the situation was not the best. In the studio I had to speak in front of the image of a picture that wasn’t the subject of my studies. 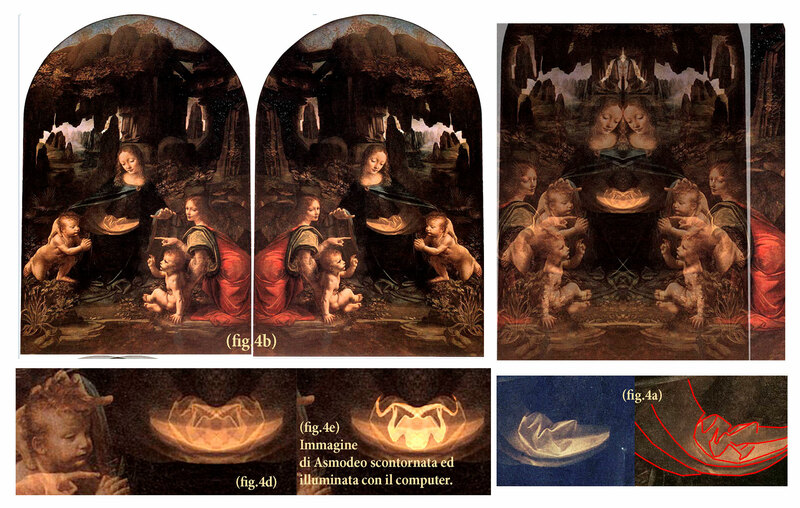 The image sent in videos was not that I had given to the director, it was indeed a second version the ‘’Virgin of the Rocks’’ made by Leonardo to replace the heretical work. I would have liked to discuss with Sgarbi as I think he is an educated person, but he preferred to cry out almost all the time trying to offend me. At one point he began to repeat many times, screaming obviously: "I want to see the demon", so I replied jokingly pointing at him <<Here is the demon>> In the end it didn’t allow me to explain myself "
Why Sgarbi has hindered you without paying proper attention? "Sgarbi is an expert of Art, but he doesn’t define himself a Da vinci’s expert. Maybe he wasn’t interested in my insights. When I presented the ‘Cenacolo’ Sgarbi had nothing to object, although I gave an interpretation in many points different from his one, the same when I spoke about ‘Mona Lisa’. But whe ‘’the Virgin’’ came he got angry because he couldn’t see the demon, yet I didn’t as well because Mattino 5 didn’t send Leonardo’s works pitctures on air. " What do you think of the portrait of Leonardo found to Acerenza? Caricato has nicely replied to the last question: "I wish it was a self-portrait of Leonardo!"